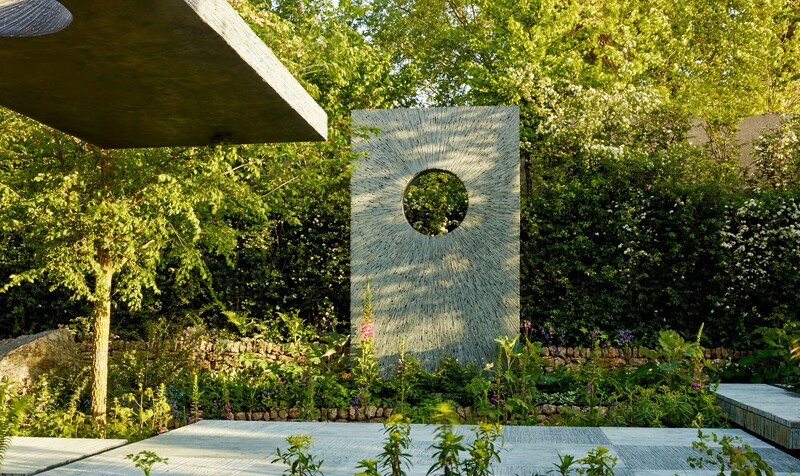 The Brewin Dolphin Garden won a Gold Medal at the RHS Chelsea Flower Show 2015. 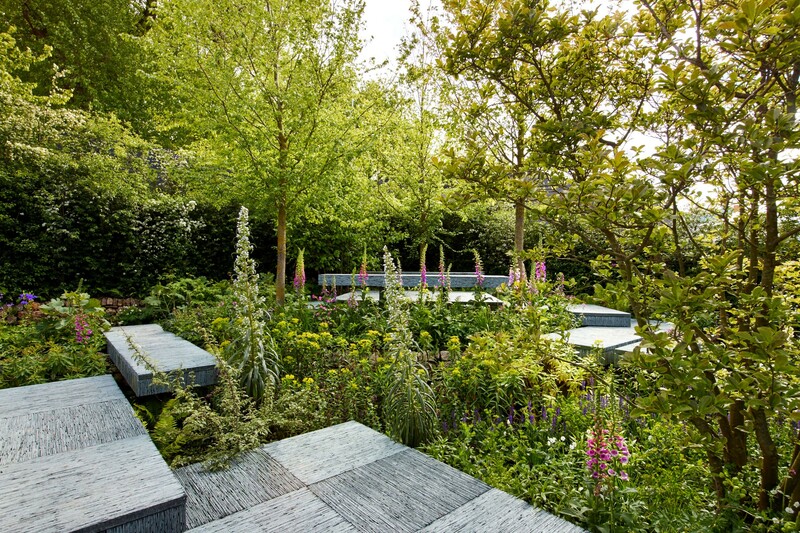 Many of the elements of the garden were inspired by the Cornish landscape and Cornish garden design traditions; dry stone, granite walls, slate paving and hedgerow inspired planting. 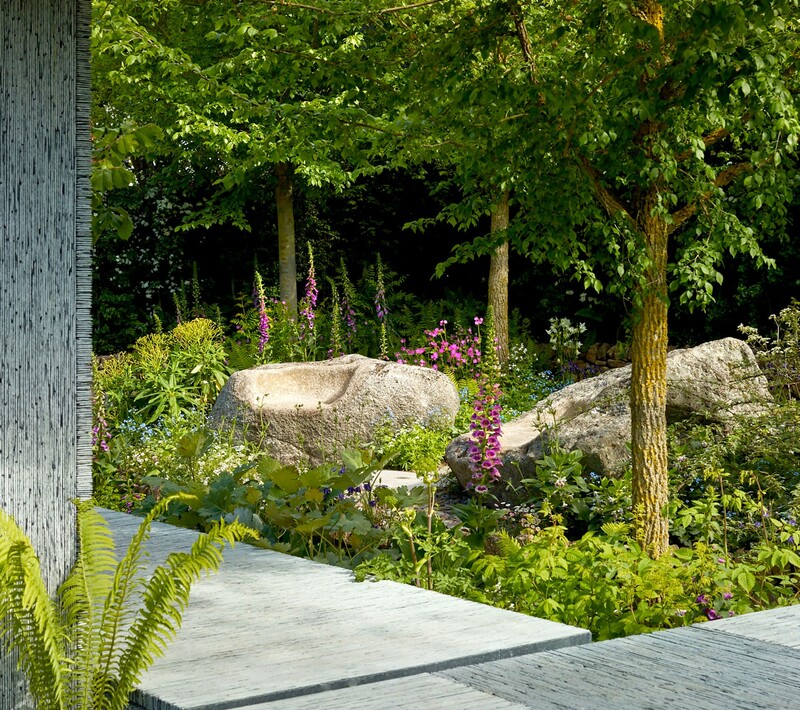 The monolithic stone sculpture created drama, juxtaposed against the fragile fresh plants underneath and between. 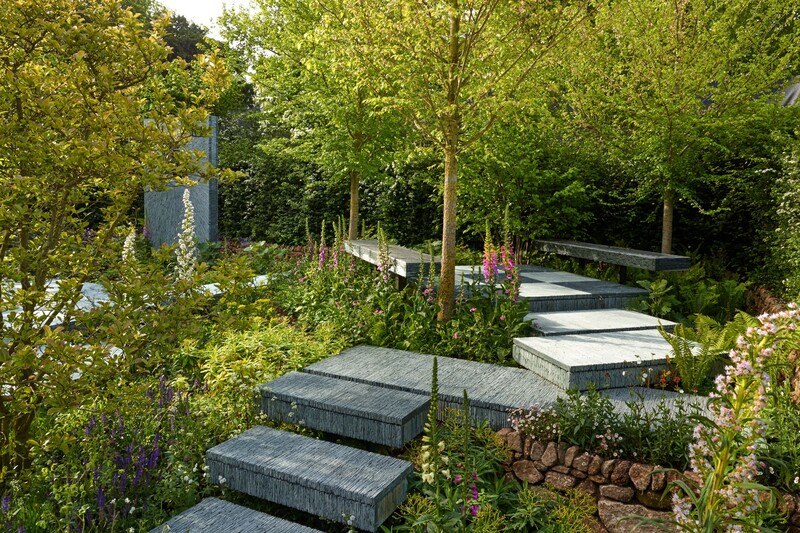 Over 40,000 pieces of hand cut slate made up the surface of the platforms. The garden was filled with mature English Elms and familiar hedgerow plants that evoked a feeling of a garden that has been left to run wild.